How to sew a hole on jeans, down jacket or socks? Sometimes a small hole on your favorite jeans orSocks finally ruins the mood. Of course, you can please yourself with a new thing. But what if there is no finance for the purchase? In this case, it is worth remembering the skills of needlework, how to sew a hole, which once taught the grandmother. First of all, you need to determine the shape and size of the patch. To do this, measure the gap on the pants and perform a patchwork drawing on paper. 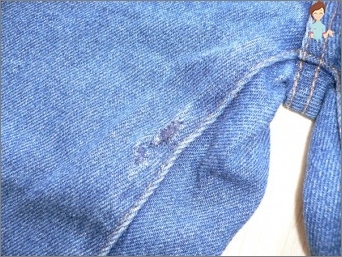 If the hole on the pants was not solid, butWas a lot of small holes because of the abrasion of the fabric, it is recommended to fix holes on the front side, treating the surface with a machine stitch by zigzag or forward-backward. Since it is not difficult to sew a hole on jeans, you can try to create the effect of deliberate embroidery or applique using contrasting hues. Most often, socks are torn, as well as hosiery. 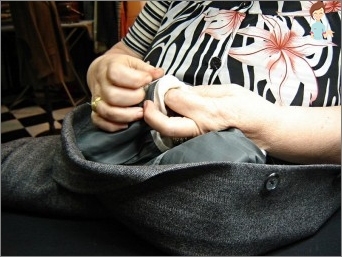 To repair them, a technique is used, such as darning. The last device can easily replace a conventional light bulb. 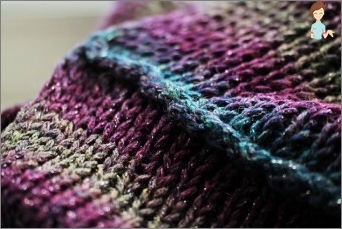 It should be ensured that the thickness of the darning does not exceed the density of the fabric. In addition, you can not tighten stitches, they must lie down freely. How to properly sew a hole in pantyhose, excellentKnew women living in times of scarcity nylon stockings. Enterprising people even established the release of special mini-devices, allowing you to raise and fasten the hinges. Sewing the hole itself is recommended by fine synthetic threads matched to the color of the fabric, using a shallow seam. The same is done if it is necessary to restore a hand-knitted thing or made from a large knitted jersey. For the production of jackets and down jackets, wear-resistant fabrics are used. However, mechanical damage can lead to the formation of a rupture. If the damage on the jacket has uneven edges,It is recommended to gently sew over the hole some company label or a self-made applique. Thermal stickers are sold in specialized stores, which are great for this purpose. Knowing how to sew a hole on a jacket or darnSocks, you can save money, without hurrying to buy a new pair of tights and without having to go to the atelier to restore the knitted thing.